pCu_tracts contains vector data (polygon) for 192 tracts permissive for porphyry copper mineralization. 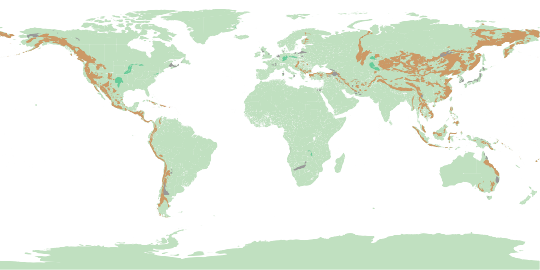 The tracts outline principal areas of the world that have potential for undiscovered porphyry copper resources; the tracts were used to estimate the probable amounts of those resources at depths within 1 km below the earth's surface. Attributes include tract identifiers, tract name, location coordinates, country and state or province, grade/tonnage model used to assess tract, a brief description of the basis for tract delineation, age, assessment results, and multiple economic results. pCu_deps_pros includes data on porphyry copper deposits and prospects compiled from eighteen regional datasets that were prepared as part of the U.S. Geological Survey's Global Mineral Resource Assessment Project over a period of years ranging from 2008 through 2015. These data were reviewed and edited to both correct errors and to better fit a standard data model. Major enhancements include more specific age information, and the rounding of calculated values for tonnage and the Au/Mo ratio to the nearest significant figure. In addition, all references cited were compiled; full references were standardized and URLs were included where available. Copper resources are reported for related deposits in close proximity to each other; grade and tonnage information was combined for these deposits and is reported in the pCu_group table. The feature class pCu_groups contains a small, select set of 47 records each of which represents a group of related deposits and prospects; data were compiled from the feature class pCu_deps_pros. Location coordinates can represent a generalized location or a specific mineralized site; for all of the deposits in the group, grade represents the weighted average while tonnage represents the total ore tonnage. sedCu_tracts includes polygons that represent 48 permissive tracts for sediment-hosted copper deposits of the world. These are the principal areas in the world that have potential for undiscovered sediment-hosted copper resources. Those with a quantitative estimate were assessed to depths of 1 to 2.5 km below the earth's surface. sedCu_deps_pros contains points that represent sediment-hosted copper deposits and prospects of the world. Data were compiled from nine regional assessment reports into two datasets that provide data for use in an assessment of undiscovered sediment-hosted stratabound copper resources of the world. These data describe deposits, prospects, and other mineralized sites. These data are intended to provide, for porphyry copper and sediment-hosted copper deposits, a globally consistent and comprehensive analysis of undiscovered resources. They are intended to equip all nations with a regional and global context for evaluating their mineral resources, planning for new mineral exploration and anticipating the economic, environmental, and social impacts of mineral development, and making land use decisions. Tracts were checked to confirm deposits and prospects were inside tract boundaries. Table pcu_precambrian_deps_pros contains descriptions of Precambrian deposits only one of which was used in the assessment (in Finland). These data are included for completeness and for reference. Deposits and prospects that are geographically close to one another are considered by the assessment procedure to represent the same deposit, so their data are combined. This is how the porphyry copper deposits and prospects were separated into two tables, one containing individual deposit records (pcu_deps_pros) and the other containing aggregated reports describing groups of geographically close deposits that are combined for the assessment (pcu_groups). For the purpose of mineral resource assessment, deposits and prospects are included in the analysis if there is sufficient information available about them to determine that the deposit model is pertinent and that the information known about them can contribute usefully to the analysis. Consequently there may be in the literature or in other USGS databases reports of mineral resource occurrences that may appear to be pertinent to this study but were not included because those reports lack needed information. Berger, B.R., Mars, J.C., Denning, P.D., Phillips, J.D., Hammarstrom, J.M., Zientek, M.L, Dicken, C.L., and Drew, L.J., with contributions from Alexeiev, D., Seltmann, R., and Herrington, R.J., 2014, Porphyry copper assessment of western Central Asia: U.S. Geological Survey Scientific Investigations Report 2010-5090-N, 219 p., 8 plates, and spatial data, http://dx.doi.org/10.3133/sir20105090N. Polygon tracts were used from source regeional report to compile single copper tract feature class (pCu_tracts). Bookstrom, A.A., Glen, R.A., Hammarstrom, J.M., Robinson, G.R., Jr., Zientek, M.L., Drenth, B.J., Jaireth, Subhash, Cossette, P.M., and Wallis, J.C., 2014, Porphyry copper assessment of eastern Australia: U.S. Geological Survey Scientific Investigations Report 2010-5090-L, 160 p., and GIS data, available at http://dx.doi.org/10.3133/sir20105090L. Gray, Floyd; Hammarstrom, J.M. ; Ludington, Steve; Zürcher, Lukas; Nelson, C.E., Robinson, G.R., Jr., Miller, R.J., and Moring, B.C., 2014, Porphyry copper assessment of Central America and the Caribbean Basin: U.S. Geological Survey Scientific Investigations Report 2010-5090-I, 81 p. and GIS data, available at http://dx.doi.org/10.3133/sir20105090I. Hammarstrom, J.M., Bookstrom, A.A., DeMarr, M.W., Dicken, C.L., Ludington, Steve, Robinson, G.R., Jr., and Zientek, M.L., with contributions from Cox, D.P., Gerel, Ochir, Manipon, C.J.C., Rollan, L.A., Sakimoto, Takehiro, Singer, D.A., Takagi, Tetsuichi, and Watanabe, Yasushi, 2014, Porphyry copper assessment of East and Southeast Asia: The Philippines, Taiwan (Republic of China), Republic of Korea (South Korea), and Japan: U.S. Geological Survey Scientific Investigations Report 2010-5090-P, 241 p. and GIS data, available at http://dx.doi.org/10.3133/sir20105090P. Hammarstrom, J.M., Bookstrom, A.A., Dicken, C.L., Drenth, B.J., Ludington, Steve, Robinson, G.R., Jr., Setiabudi, B.T., Sukserm, Wudhikarn, Sunuhadi, D.N., Wah, A.Y.S., and Zientek, M.L., with contributions from Cox, D.P. ; Jarnyaharn, Pairatt; Kopi, Gwaibo; Ngoc, N.T.M. ; Otarawanna, Pichai; Pei, C.S. ; Phany, Ung; Quy, N.V.; Sakimoto, Takehiro; Saroa, Dulcie; Soares de Costa, Norberta; Sotham, Sieng; Sim, I.M. ; Trung, N.N. ; Wongsomasak, Somob; Yokarti, Boonsong; and Zaw, Khin, 2013, Porphyry copper assessment of Southeast Asia and Melanesia: U.S. Geological Survey Scientific Investigations Report 2010-5090-D, 332 p. and GIS data, available at https://pubs.usgs.gov/sir/2010/5090/d/. Hammarstrom, J.M. ; Robinson, G.R., Jr.; Ludington, Steve; Gray, Floyd; Drenth, B.J. ; Cendejas-Cruz, Francisco; Espinosa, Enrique; Pérez-Segura, Efrén; Valencia-Moreno, Martín; Rodríguez-Castañeda, J.L. ; Vásquez-Mendoza, Rigoberto; and Zürcher, Lukas, 2010, Porphyry copper assessment of Mexico: U.S. Geological Survey Scientific Investigations Report 2010-5090-A, 176 p. and GIS data, available at https://pubs.usgs.gov/sir/2010/5090/a/. Afghanistan tracts have been modified from published report by Jane Hammarstrom and Steve Ludington for inclusion in this Global report. Permissive rocks were extracted from geologic maps, and buffers created around rocks to create modified assessment tracts. Ludington, Steve, Orris, G.J., Bolm, K.S., Peters, S.G., and U.S. Geological Survey-Afghanistan Ministry of Mines and Industry Joint Mineral Resource Assessment Team, 2007, Preliminary mineral resource assessment of selected mineral deposit types in Afghanistan: U.S. Geological Survey Open-File Report 2007-1005, 44 p., available at https://pubs.usgs.gov/of/2007/1005/. Ludington, Steve, Hammarstrom, J.M., Robinson, G.R., Jr., Mars, J.C., and Miller, R.J., 2012, Porphyry copper assessment of the Tibetan Plateau, China: U.S. Geological Survey Scientific Investigations Report 2010-5090-F, 63 p. and GIS data, available at https://pubs.usgs.gov/sir/2010/5090/f/. Ludington, Steve, Mihalasky, M.J., Hammarstrom, J.M., Robinson, G.R., Jr., Frost, T.P., Gans, K.D., Light, T.D., Miller, R.J., and Alexeiev, Dmitriy, 2012, Porphyry copper assessment of the Mesozoic of East Asia: China, Vietnam, North Korea, Mongolia, and Russia: U.S. Geological Survey Scientific Investigations Report 2010-5090-G, 53 p. and GIS data, available at https://pubs.usgs.gov/sir/2010/5090/g/. Mihalasky, M.J., Bookstrom, A.A., Frost, T.P., and Ludington, Steve, with contributions from Logan, J.M., Panteleyev, Andre, and Abbot, Grant, 2011, revised 2013, Porphyry copper assessment of British Columbia and Yukon Territory, Canada (version 1.1): U.S. Geological Survey Scientific Investigations Report 2010-5090-C, 128 p., data tables and GIS data, available at https://pubs.usgs.gov/sir/2010/5090/c/. Mihalasky, M.J., Ludington, Steve, Alexeiev, D.V., Frost, T.P., and Light, T.D., with contributions from Bookstrom, A.A., and Panteleyev, Andre, in press, Porphyry copper assessment of northeast Asia: Far East Russia and northeasternmost China: U.S. Geological Survey Scientific Investigations Report 2010-5090-W, 104 p. and GIS data, available at http://dx.doi.org/10.3133/sir20105090W. Mihalasky, M.J., Ludington, Steve, Hammarstrom, J.M., Alexeiev, D.V., Frost, T.P., Light, T.D., Robinson, G.R., Jr., Briggs, D.A., Wallis, J.C., and Miller, R.J., with contributions from Bookstrom, A.A., Panteleyev, Andre, Chitalin, Andre, Seltmann, Reimar, Guangsheng, Y., Changyun, L., Jingwen, M., Jinyi, L., Keyan, X., Ruizhao, Q., Jianbao, S., Gangyi, S., and Yuliang, D., 2015, Porphyry Copper Assessment of the Central Asian Orogenic Belt and eastern Tethysides: China, Mongolia, Russia, Pakistan, Kazakhstan, Tajikistan, and India: U.S. Geological Survey Scientific Investigations Report 2010-5090-X, 106 p. and spatial data, http://dx.doi.org/10.3133/sir20105090X. Digital GIS files provided to USGS by email from Kalevi Rasilaninen on January 9, 2015. Rasilainen, K., Eilu, P., Halkoaho, T., Karvinen, A., Kontinen, A., Kousa, J., Lauri, L., Luukas, J., Niiranen, T., Nikander, J., Sipilä, P., Sorjonen-Ward, P., Tiainen, M., Törmänen, T. and Västi, K., 2014, Quantitative assessment of undiscovered resources in volcanogenic massive sulphide deposits, porphyry copper deposits and Outokumpu-type deposits in Finland: Geological Survey of Finland, Report of Investigation 208, 393 p., available at: http://tupa.gtk.fi/julkaisu/tutkimusraportti/tr_208.pdf. Sutphin, D.M., Hammarstrom, J.M., Drew, L.J., Large, D.E., Berger, B.B., Dicken, C.L., and DeMarr, M.W. with contributions from Billa, Mario; Briskey, J.A. ; Cassard, Daniel; Lips, Andor; Pertold, Zdenek Pertold, and Emilian Rosu, 2013, Porphyry copper assessment of Europe, exclusive of the Fennoscandian Shield: U.S. Geological Survey Scientific Investigations Report 2010-5090-K, 199 p. and GIS data, available at https://pubs.usgs.gov/sir/2010/5090/k/. United States tracts have been modified from this report by Jane Hammarstrom and Steve Ludington for inclusion in this Global report. Permissive rocks were extracted from geologic maps, and buffers created around rocks to create modified assessment tracts. U.S. Geological Survey National Mineral Resource Assessment Team, 2002, Assessment of undiscovered deposits of gold, silver, copper, lead, and zinc in the United States: U.S. Geological Survey Open-File Report 02-198, CD-ROM. Also available at https://pubs.usgs.gov/of/2002/of02-198/. Zürcher, Lukas, Bookstrom, A.A., Hammarstrom, J.M., Mars, J.C., Ludington, Steve, Zientek, M.L., Dunlap, Pamela, and Wallis, J.C., with contributions from Drew, L.J., Sutphin, D.M.,Berger, B.R., Herringon, R.J., Billa, Mario, Kuscu, Ilkay, Moon, C.J., and Richards, J.P., 2015, Porphyry copper assessment of the Tethys region of western and southern Asia: U.S. Geological Survey Scientific Investigations Report 2010-5090-V, 232 p., and spatial data, available at http://dx.doi.org/10.3133/sir20105090V. Delineation of permissive tracts was carried out on a regional basis by different groups of scientific investigators; their results were published separately over a few years. For this compilation, those results were assembled and combined, merging polygons where it was appropriate to do so, and ensuring that attribute data were consistent (correction of spelling errors where identified, for example). Row identifier within datadxny table Integer values. Integer of width 4. Order in which this table should appear in some presentations Integer values. Integer of width 4. Name of the table Textual values of no more than 20 characters. Order in which this field occurs in the RDBMS Integer values. Integer of width 4. Information not available for this record. 10 records have no value for number. Label of the field in the RDBMS Textual values of no more than 32 characters. Information not available for this record. 10 records have no value for label. General category of information provided by the contents of the field Textual values of no more than 50 characters. Information not available for this record. 9 records have no value for category. Descriptive name of the field used in some presentations, not constrained by rules affecting the label Textual values of no more than 40 characters. Information not available for this record. 10 records have no value for short_desc. Longer description of the purpose and contents of the field Textual values of no more than 4096 characters. URL providing more information about the field Textual values of no more than 96 characters. Information not available for this record. 283 records have no value for link. Abbreviation of an organization, data set, or other entity responsible for defining the field Textual values of no more than 12 characters. Information not available for this record. 283 records have no value for origin. Data type of the field as used in the RDBMS Textual values of no more than 8 characters. Information not available for this record. 10 records have no value for sqltype. Data type of the field when expressed in DBF Textual values of no more than 1 characters. Information not available for this record. 10 records have no value for dbftype. Field width when expressed in DBF Integer values. Integer of width 4. Information not available for this record. 132 records have no value for width. Precision of the field (places to right of decimal) when expressed in DBF, only for numeric fields Integer values. Integer of width 4. Information not available for this record. 213 records have no value for prec. Units of measure of the field values Textual values of no more than 64 characters. Information not available for this record. 283 records have no value for units. Special value assigned to indicate that no information is available, usually used for numeric fields where a blank field might be intererpreted as the legitimate, but incorrect value zero. Textual values of no more than 16 characters. Information not available for this record. 234 records have no value for nodata. Internal feature number. Integer values. Integer of width . Unique identifier for each record. [GMRAP, Global Mineral Resource Assessment Project.] Integer values. Integer of width . Coded, unique identifier assigned to permissive tract within which the site is located; corresponds to Coded_ID in the feature class pCu_tracts. Textual values of no more than 16 characters. Name of permissive tract in which the site is located; corresponds to Tract_name in the feature class pCu_tracts. Textual values of no more than 64 characters. Site name. Textual values of no more than 44 characters. Other names used for the site. Textual values of no more than 100 characters. Information not available for this record. 1250 records have no value for name_other. Group name, applied when 2-km rule was used to cluster deposits and (or) prospects for the purpose of calculating grades and tonnages. Textual values of no more than 28 characters. Information not available for this record. 1914 records have no value for name_group. Names of deposits and (or) prospects that were combined with the primary deposit as a result of the 2-km spatial aggregation rule used for calculating grades and tonnages, OR sites described in the original source reference(s) as being included in the description of primary site. Textual values of no more than 256 characters. Information not available for this record. 1749 records have no value for includes. Type of site; deposit is a site for which grade and tonnage are reported; prospect is a site for which grade and tonnage are not reported. Textual values of no more than 12 characters. Country in which site is located. Textual values of no more than 56 characters. State, province or region in which the site is located. Textual values of no more than 44 characters. Latitude, in decimal degrees; positive number represents latitude north of the equator; negative number indicates latitude south of the equator. Real numbers stored in double precision. Longitude, in decimal degrees; positive number represents longitude east of the Greenwich meridian; negative number represents longitude west of the Greenwich meridian. Real numbers stored in double precision. Type of mineral deposit. Textual values of no more than 48 characters. Subtype of porphyry copper deposit type based on ratio of Au (g/t) to Mo (weight percent); entries include Cu-Au, Cu-Mo and NA (not applicable). Textual values of no more than 8 characters. Age of mineralization; in millions of years before the present; based on reported absolute ages, or midpoints of ranges of absolute ages, or midpoints of geologic time scale units. Real numbers stored in double precision. Information not available for this record. 1299 records have no value for age_ma. Method used to determine age reported in field Age_Ma. Textual values of no more than 68 characters. Range of ages, listed from oldest to youngest; in absolute ages or in geologic time units. Textual values of no more than 144 characters. Information not available for this record. 212 records have no value for age_range. Abbreviated citation, in author and year format, for reference(s) for age information; full references are listed in the FGDB standalone table pCu_sites_references. Textual values of no more than 104 characters. Information not available for this record. 232 records have no value for age_ref. Major commodities, listed in decreasing order of economic importance. Chemical symbols are used for commodities; multiple commodities are comma-delimited. Textual values of no more than 40 characters. Information not available for this record. 115 records have no value for comm_major. Minor commodities, listed in decreasing order of economic importance; queried where uncertain. Chemical symbols are used for commodities; multiple commodities are comma-delimited. Textual values of no more than 44 characters. Information not available for this record. 1685 records have no value for comm_minor. Trace commodities, listed in decreasing order of economic importance. Chemical symbols are used for commodities; multiple commodities are comma-delimited. Textual values of no more than 28 characters. Information not available for this record. 2107 records have no value for comm_trace. Ore tonnage, for deposit, in millions of metric tons (Mt). Real numbers stored in double precision. Information not available for this record. 1670 records have no value for tonnage_mt. Average copper grade, for deposit, in weight percent. Real numbers stored in double precision. Information not available for this record. 1672 records have no value for cu_pct. Average molybdenum grade, for deposit, in weight percent. Real numbers stored in double precision. Information not available for this record. 1929 records have no value for mo_pct. Average gold grade, for deposit, in grams per metric ton (g/t). Real numbers stored in double precision. Information not available for this record. 1874 records have no value for au_g_t. Average silver grade, for deposit, in grams per metric ton (g/t); Real numbers stored in double precision. Information not available for this record. 2004 records have no value for ag_g_t. Contained copper, for deposit, in metric tons (t), rounded to nearest significant figure; Con_Cu_t = Tonnage_Mt*1,000,000*Cu_pct/100 where SiteStatus=deposit. Integer values. Integer of width . Information not available for this record. 1672 records have no value for con_cu_t. Ratio of Au (g/t) to Mo (weight percent), for deposit, rounded to nearest significant figure; Au_Mo = Au_g_t/Mo_pct where SiteStatus=deposit. Real numbers stored in double precision. Information not available for this record. 2026 records have no value for au_mo. Significant comments; may include grade and tonnage information for prospects, name of magmatic arc or belt. Textual values of no more than 1872 characters. Information not available for this record. 153 records have no value for comments. Minerals present, as reported in literature cited; listed in alphabetical order. Most rock-forming minerals such as feldspar and quartz are not reported. Textual values of no more than 556 characters. Information not available for this record. 982 records have no value for minerals. Associated rocks in the deposit and on regional source map. Textual values of no more than 388 characters. Information not available for this record. 821 records have no value for assd_rock. The status or nature of operations at the time the record was entered or this field was last modified. Textual values of no more than 16 characters. List of abbreviated citations, in author and year format, for references used in compiling information for site, delimited by semicolons; full references are listed in the FGDB standalone table pCu_sites_references. Textual values of no more than 800 characters. Tectonic setting in which mineralization was emplaced. Textual values of no more than 24 characters. Geographic area of USGS report from which data were originally compiled. Textual values of no more than 40 characters. Abbreviated citation for author and year of the USGS regional report from which data were originally compiled; full reference located in the lineage section of the metadata and listed in file geodatabase standalone table pCu_tracts_references. Textual values of no more than 76 characters. Stratigraphic age; Eon, Era or Period. Textual values of no more than 56 characters. Information not available for this record. 212 records have no value for strat_age. Coded, unique identifier assigned to permissive tract. Textual values of no more than 16 characters. Informal name of permissive tract. Textual values of no more than 56 characters. Group name, applied when 2-km rule was used to cluster deposits and (or) prospects for the purpose of calculating grades and tonnages. Textual values of no more than 24 characters. Names of deposits and prospects that have been grouped as a result of the 2-km aggregation rule used for calculating grades and tonnages. Textual values of no more than 252 characters. Type of site; deposit is a site for which grade and tonnage are reported; prospect is a site for which grade and tonnage are not reported. Textual values of no more than 8 characters. Country in which site is located. Textual values of no more than 48 characters. State, province or region. Textual values of no more than 36 characters. Latitude, in decimal degrees, for a general location of the group; positive number represents latitude north of the equator; negative number indicates latitude south of the equator. Real numbers stored in double precision. Longitude, in decimal degrees, for a general location of the group; positive number represents longitude east of the Greenwich meridian; negative number represents longitude west of the Greenwich meridian. Real numbers stored in double precision. Type of mineral deposit. Textual values of no more than 20 characters. Subtype of porphyry copper deposit type. Textual values of no more than 8 characters. Age of mineralization; reported as absolute age, or midpoint of range of absolute ages, or midpoint of geologic time scale unit(s). Real numbers stored in double precision. Information not available for this record. 11 records have no value for age_ma. Method used to determine age reported in field Age_Ma. Textual values of no more than 60 characters. Range of ages, listed from oldest to youngest. Textual values of no more than 76 characters. Information not available for this record. 2 records have no value for age_range. Abbreviated citation, in author and year format, for reference(s) for age information; full references are listed in the FGDB standalone table pCu_sites_references. Textual values of no more than 84 characters. Information not available for this record. 2 records have no value for age_ref. Major commodities, listed in decreasing order of economic importance. Chemical symbols are used for commodities; multiple commodities are comma-delimited. Textual values of no more than 24 characters. Minor commodities, listed in decreasing order of economic importance; queried where uncertain. Chemical symbols are used for commodities; multiple commodities are comma-delimited. Textual values of no more than 16 characters. Information not available for this record. 23 records have no value for comm_minor. Trace commodities, listed in decreasing order of economic importance. Chemical symbols are used for commodities; multiple commodities are comma-delimited. Textual values of no more than 20 characters. Information not available for this record. 37 records have no value for comm_trace. Total ore tonnage for all deposits in the group, in millions of metric tons (Mt). Real numbers stored in double precision. Information not available for this record. 12 records have no value for tonnage_mt. Weighted average copper grade, for all deposits in the group, in weight percent, where weighted average resulting from the multiplication of each component by a factor reflecting its importance. Real numbers stored in double precision. Information not available for this record. 12 records have no value for cu_pct. Weighted average molybdenum grade, for all deposits in the group, in weight percent, where weighted average resulting from the multiplication of each component by a factor reflecting its importance. Real numbers stored in double precision. Information not available for this record. 26 records have no value for mo_pct. Weighted average gold grade, for all deposits in the group, in grams per metric ton (g/t), where weighted average resulting from the multiplication of each component by a factor reflecting its importance. Real numbers stored in double precision. Information not available for this record. 17 records have no value for au_g_t. Weighted average silver grade, for all deposits in the group, in grams per metric ton (g/t), where weighted average resulting from the multiplication of each component by a factor reflecting its importance. Real numbers stored in double precision. Information not available for this record. 31 records have no value for ag_g_t. Total contained copper, for all deposits in the group, in metric tons (t), rounded to nearest significant figure; Con_Cu_t = Tonnage_Mt*1,000,000*Cu_pct/100 where SiteStatus=deposit. Integer values. Integer of width . Information not available for this record. 12 records have no value for con_cu_t. Ratio of Au (g/t) to Mo (weight percent), rounded to nearest significant figure; Au_Mo = Au_g_t/Mo_pct where SiteStatus=deposit. Real numbers stored in double precision. Information not available for this record. 13 records have no value for au_mo. All significant comments; may include grade and tonnage information for prospects, name of magmatic arc or belt. Textual values of no more than 460 characters. Minerals present, as reported in literature cited; listed in alphabetical order. Most rock-forming minerals such as feldspar and quartz are not reported. Textual values of no more than 500 characters. Information not available for this record. 3 records have no value for minerals. Associated rocks in the deposit and on regional source map. Textual values of no more than 188 characters. Information not available for this record. 3 records have no value for assd_rock. All reference(s) for data in this record, in author(s) and year format, delimited by semicolons. See file geodatabase table "pCu_sites_references" for complete source references (listed by deposit or prospect). Textual values of no more than 800 characters. Abbreviated citation for author and year of the USGS regional report from which data were originally compiled; full reference located in the lineage section of the metadata and listed in file geodatabase standalone table pCu_tracts_references. Textual values of no more than 44 characters. Stratigraphic age; Eon, Era or Period Textual values of no more than 36 characters. Information not available for this record. 2 records have no value for strat_age. Precambrian porphyry copper deposits and prospects. Not used directly in the assessment, provided for reference. Site name. Textual values of no more than 16 characters. Other names used for the site. Textual values of no more than 24 characters. Information not available for this record. 16 records have no value for name_other. Names of deposits and (or) prospects that were combined with the primary deposit as a result of the 2-km spatial aggregation rule used for calculating grades and tonnages, OR sites described in the original source reference(s) as being included in the description of primary site. Textual values of no more than 40 characters. Information not available for this record. 19 records have no value for includes. Country in which the site is located. Textual values of no more than 12 characters. State, province or region in which the site is located. Textual values of no more than 20 characters. Age of mineralization; in millions of years before the present; based on reported absolute ages, or midpoints of ranges of absolute ages, or midpoints of geologic time scale units. Integer values. Integer of width . Ore tonnage, for deposit, in millions of metric tons (Mt). Integer values. Integer of width . Average silver grade, for deposit, in grams per metric ton (g/t). Real numbers stored in double precision. Record identifier for the table row Integer values. Integer of width 4. Relationship identifier used in ArcGIS software Integer values. Integer of width 4. Identifier for the mine, prospect, or occurrence as known to the project that created these data Integer values. Integer of width 6. Identifier for the permissive tract containing the site. The deposit model of the site must match the target deposit model of the permissive tract. Textual values of no more than 16 characters. Name of the site to which this reference pertains Textual values of no more than 44 characters. Author and year of publication of the reference, used as in-text citation or to sort these records in a list. Textual values of no more than 84 characters. Bibliographic reference in the form it would appear in a published journal article, using USGS style conventions. Textual values of no more than 788 characters. A URL or other web link for the publication Textual values of no more than 220 characters. Information not available for this record. 2621 records have no value for web_link. Name of the geographic region to which the reference pertains, and in which the site lies. Textual values of no more than 40 characters. Coded, unique identifier assigned to permissive tract. [3 digit region code] pCu [4 digit tract number] Textual values of no more than 16 characters. Informal name of permissive tract. Textual values of no more than 64 characters. Three digit United Nations code for the region that underlies most of the permissive tract. (ISO 3166-1 numeric) Integer values. Integer of width . Country(ies) in which permissive tract is located Textual values of no more than 108 characters. Primary commodity being assessed Textual values of no more than 8 characters. Geographic area of USGS report from which data were originally compiled. Textual values of no more than 60 characters. Dichotomous variable for whether or not a quantitative resource assessment was performed for tract. Textual values of no more than 8 characters. Name of large geographic region used for reporting copper resources in Johnson and others (2014). Textual values of no more than 40 characters. Grade-tonnage model used for the undiscovered deposit simulation. Textual values of no more than 72 characters. Geologic feature assessed. Textual values of no more than 260 characters. Age of the assessed geologic feature. Textual values of no more than 44 characters. Generalized geologic age. Textual values of no more than 24 characters. Year assessment was conducted. Integer values. Integer of width . Maximum depth beneath the Earth's surface used for the assessment, in kilometers. Integer values. Integer of width . Estimated number of deposits associated with the 90th percentile (90 percent chance of at least the indicated number of deposits). Integer values. Integer of width . Information not available for this record. 25 records have no value for n90. Estimated number of deposits associated with the 50th percentile (50 percent chance of at least the indicated number of deposits). Integer values. Integer of width . Information not available for this record. 25 records have no value for n50. Estimated number of deposits associated with the 10th percentile (10 percent chance of at least the indicated number of deposits). Integer values. Integer of width . Information not available for this record. 25 records have no value for n10. Estimated number of deposits associated with the 5th percentile (5 percent chance of at least the indicated number of deposits). Integer values. Integer of width . Information not available for this record. 25 records have no value for n05. Estimated number of deposits associated with the 1st percentile (1 percent chance of at least the indicated number of deposits). Integer values. Integer of width . Information not available for this record. 25 records have no value for n01. Expected (mean) number of deposits, where N_expected = (0.233*N90) + (0.4*N50) + (0.225*N10) + (0.045*N05) + (0.03*N01). Real numbers stored in double precision. Information not available for this record. 25 records have no value for n_expected. Standard deviation, where s = 0.121 - (0.237*N90) - (0.093*N50) + (0.183*N10) + (0.073*N05) + (0.123*N01) Real numbers stored in double precision. Information not available for this record. 25 records have no value for s.
Coefficient of variance, in percent, where Cv = (s/N_expected) * 100. Real numbers stored in double precision. Information not available for this record. 25 records have no value for cv_percent. The set of percentile (probability) levels at which undiscovered deposit estimates were made. Textual values of no more than 16 characters. Number of known deposits in the tract. Integer values. Integer of width . Total number of deposits, where N_total = N_expected + N_known. Real numbers stored in double precision. Area of permissive tract calculated in a locally appropriate equal-area projection, in square kilometers. Integer values. Integer of width . Deposit density (total number of deposits per square kilometer), where DepDensity = N_total/Area_km2. Real numbers stored in double precision. Information not available for this record. 25 records have no value for depdensity. Deposit density (10e5 sq km). Deposit density per 100,000 square kilometers, where DepDen10E5 = DepDensity*100,000. Integer values. Integer of width . Information not available for this record. 25 records have no value for depden10e5. Names of people on the estimation team. Textual values of no more than 256 characters. Mean copper resources, in metric tons, based on Monte Carlo simulation. Integer values. Integer of width . Mean molybdenum resources, in metric tons, based on Monte Carlo simulation. Integer values. Integer of width . Mean gold resources, in metric tons, based on Monte Carlo simulation. Integer values. Integer of width . Mean silver resources, in metric tons, based on Monte Carlo simulation. Integer values. Integer of width . Mean ore tonnage, in metric tons, based on Monte Carlo simulation. Bigint of width . Undiscovered copper resource estimate, 95th percentile value, in metric tons (t). Integer values. Integer of width . Undiscovered copper resource estimate, 90th percentile value, in metric tons (t). Integer values. Integer of width . Undiscovered copper resource estimate, median (50th percentile) value, in metric tons (t). Integer values. Integer of width . Undiscovered copper resource estimate, 10th percentile value, in metric tons (t). Integer values. Integer of width . Undiscovered copper resource estimate, 5th percentile value, in metric tons (t). Integer values. Integer of width . Probability of the mean value, undiscovered copper resource estimate. Real numbers stored in double precision. Probability of no copper, based on Monte Carlo simulation. Real numbers stored in double precision. Known copper resources, in metric tons (t). Integer values. Integer of width . Number of identified porphyry copper prospects in tract. Integer values. Integer of width . List of map scales used, by denominator, to delineate tract boundary. Textual values of no more than 32 characters. Oldest age of permissive rocks in the tract, from geologic source maps, in millions of years before the present. Real numbers stored in double precision. Youngest age of permissive rocks in the tract, from geologic source maps, in millions of years before the present. Real numbers stored in double precision. Age range of permissive rocks in the tract, from geologic source maps. Real numbers stored in double precision. Abbreviated citation for source reference; full reference located in the lineage section of the metadata and listed in file geodatabase standalone table pCu_tracts_references. Textual values of no more than 108 characters. Mean copper resources per square kilometer, in metric tons (t). Integer values. Integer of width . Country used for infrastructure rankings as compiled by the Fraser Institute (McMahon and Cervantes, 2012). Textual values of no more than 96 characters. Information not available for this record. 5 records have no value for ctryfraser. Percentage of categories 1 and 2, from quality of infrastructure table (McMahon and Cervantes, 2012), used to classify cost setting. Real numbers stored in double precision. Percentage of categories 3, 4, and 5, from quality of infrastructure table (McMahon and Cervantes, 2012), used to classify cost setting. Real numbers stored in double precision. Ranking for typical cost, in percent. Real numbers stored in double precision. Ranking for high cost, in percent. Real numbers stored in double precision. Mine cost setting based on infrastructure development. Textual values of no more than 12 characters. Information not available for this record. 9 records have no value for infra_set. Comments on rationale for assignment of depth distributions categories. Textual values of no more than 88 characters. Information not available for this record. 25 records have no value for depth_dist. Proportion of undiscovered deposits occurring in the interval between the surface and 250 meters in depth. Real numbers stored in double precision. Proportion of undiscovered deposits occurring in the interval from 250-500 meters in depth. Real numbers stored in double precision. Proportion of undiscovered deposits occurring in the interval from 500-1,000 meters in depth. Real numbers stored in double precision. Estimated amount of economically recoverable copper, in metric tons (t). Integer values. Integer of width . Estimated amount of economically recoverable molybdenum, in metric tons (t). Integer values. Integer of width . Estimated amount of economically recoverable gold, in metric tons (t). Real numbers stored in double precision. Estimated amount of economically recoverable silver, in metric tons (t). Integer values. Integer of width . Probability of no economic resources occurring in the tract, in percent. Real numbers stored in double precision. Net present value of simulated economic deposits in the tract, in million U.S. dollars. Integer values. Integer of width . Expected value of simulated resources in the tract, in million U.S. dollars/100,000 km2. Real numbers stored in double precision. Qualitative classification of expected value of simulated resources in the tract. Textual values of no more than 12 characters. Tectonic setting. Textual values of no more than 24 characters. Abbreviated citation for economic source reference; full reference is listed in file geodatabase standalone table pCu_tracts_references. Textual values of no more than 40 characters. Information not available for this record. 25 records have no value for econ_ref. Length of feature in internal units. Real numbers stored in double precision. Area of feature in internal units squared. Real numbers stored in double precision. Record identifier in the database table Integer values. Integer of width 4. Author and year, used as in-text citation or to sort these references in a list. Textual values of no more than 108 characters. URL or other web address for the report cited by the reference. Textual values of no more than 60 characters. Information not available for this record. 1 records have no value for web_link. Alternative URL or other network address used to locate the report. Textual values of no more than 44 characters. Information not available for this record. 19 records have no value for web_link2. Bibliographic reference in the form it would appear in a published journal article, using USGS style conventions. Textual values of no more than 796 characters. Coded, unique identifier assigned to permissive tract within which the site is located; corresponds to Coded_ID in the feature class sedCu_tracts. Textual values of no more than 20 characters. Name of permissive tract in which the site is located; corresponds to Tract_name in the feature class sedCu_tracts. Textual values of no more than 56 characters. Site name. Textual values of no more than 52 characters. Other names used for the site. Textual values of no more than 128 characters. Information not available for this record. 1049 records have no value for name_other. Group name, applied when 500-m rule was used to cluster deposits and (or) prospects. Textual values of no more than 44 characters. Information not available for this record. 1173 records have no value for name_group. Names of deposits that have been combined with the primary deposit as a result of the 500-m aggregation rule used for calculating grades and tonnages. Textual values of no more than 252 characters. Information not available for this record. 1176 records have no value for includes. Type of site. Deposit--a site that has grade and tonnage. Historic mine - 19th century or earlier--a site that is a no longer active historic mine. Prospect--a site with no grade and tonnage values provided. Prospect--a mineralized material estimated: a site that has estimated mineralized material. Site--a site that occurs in sedimentary rock but has no other descriptive information. Textual values of no more than 44 characters. Additional information on the status of the site. Textual values of no more than 104 characters. Information not available for this record. 1024 records have no value for sitestatus2. Country in which the site is located. Textual values of no more than 36 characters. State, province or region in which the site is located. Textual values of no more than 28 characters. Type of mineral deposit. Textual values of no more than 40 characters. Subtype of sediment-hosted copper. Textual values of no more than 40 characters. Information not available for this record. 201 records have no value for dep_subtype. Age of host rock, in standard divisions of geologic time. Textual values of no more than 28 characters. Information not available for this record. 2 records have no value for age_host. Age, in millions of years before present. Age may be an average or midpoint for geologic era, period, or epoch listed. Integer values. Integer of width . Geologic unit in which site is located. Textual values of no more than 100 characters. Information not available for this record. 77 records have no value for unit. Simplified lithologic description of host rocks. Textual values of no more than 164 characters. Information not available for this record. 703 records have no value for host_rocks. Major commodities, listed in decreasing order of economic importance. Chemical symbols are used for commodities; multiple commodities are comma-delimited. Textual values of no more than 28 characters. Information not available for this record. 1016 records have no value for tonnage_mt. Information not available for this record. 1013 records have no value for cu_pct. Average cobalt grade, in weight percent. Real numbers stored in double precision. Information not available for this record. 1144 records have no value for co_pct. Information not available for this record. 1185 records have no value for ag_g_t. Contained copper, for deposit, in metric tons (t), rounded to nearest significant figure. Integer values. Integer of width . Information not available for this record. 1012 records have no value for con_cu_t. Significant comments. Textual values of no more than 260 characters. Information not available for this record. 682 records have no value for comments. Ore and gangue minerals, listed in approximate order of abundance. Textual values of no more than 188 characters. Information not available for this record. 966 records have no value for minerals. List of abbreviated citations, in author and year format, for references used in compiling information for site, delimited by semicolons; full references are listed in the file geodatabase nonspatial table, sedCu_references. Textual values of no more than 256 characters. Abbreviated citation for author and year of the USGS regional report from which data were originally compiled; full reference located in the lineage section of the metadata and listed in file geodatabase nonspatial table sedCu_references. Textual values of no more than 44 characters. Record identifier of the bibliography entry. Integer values. Integer of width 4. Author and year, used as in-text citation or to sort these references in a list. Textual values of no more than 84 characters. Bibliographic reference in the form it would appear in a published journal article, using USGS style conventions. Textual values of no more than 768 characters. Coded, unique identifier assigned to permissive tract. Textual values of no more than 20 characters. Three digit UN code for the region that underlies most of the permissive tract. Integer values. Integer of width . Country(ies) in which the permissive tract is located. Textual values of no more than 44 characters. Primary commodity being assessed. Textual values of no more than 8 characters. Name of geographic region used for reporting copper resources in Johnson and others (2014). Textual values of no more than 40 characters. Name of sedimentary basin in which the permissive tract is located. Textual values of no more than 52 characters. Model used to classify deposit type. Textual values of no more than 72 characters. Deposit type model short reference; full reference is provided in nonspatial table sedCu_references. Textual values of no more than 44 characters. Grade-tonnage model used for the undiscovered deposit estimate. Textual values of no more than 72 characters. Abbreviated citation for grade and tonnage model; full reference is provided in the standalone table sedCu_references. Textual values of no more than 36 characters. Geologic feature assessed. Textual values of no more than 256 characters. Age of the assessed geologic feature. Textual values of no more than 40 characters. Maximum depth beneath the Earth's surface used for the assessment, in kilometers. Real numbers stored in double precision. Information not available for this record. 13 records have no value for n90. Information not available for this record. 13 records have no value for n50. Information not available for this record. 13 records have no value for n10. Information not available for this record. 13 records have no value for n05. Information not available for this record. 13 records have no value for n01. Information not available for this record. 13 records have no value for n_expected. Standard deviation, where s = 0.121 - (0.237*N90) - (0.093*N50) + (0.183*N10) + (0.073*N05) + (0.123*N01). Real numbers stored in double precision. Information not available for this record. 13 records have no value for s.
Coefficient of variance, in percent, where Cv = (s/N_expected) * 100. Integer values. Integer of width . Information not available for this record. 13 records have no value for cv_percent. Area of permissive tract, in square kilometers. Integer values. Integer of width . Deposit density (total number of deposits per square kilometer). DepDensity = N_total/Area_km2. Real numbers stored in double precision. Information not available for this record. 4 records have no value for depdensity. Deposit density per 100,000 square kilometers. DepDen10E5 = DepDensity*100,000. Real numbers stored in double precision. Information not available for this record. 4 records have no value for depden10e5. Names of people on the estimation team. Textual values of no more than 208 characters. Information not available for this record. 13 records have no value for cu_95. Information not available for this record. 13 records have no value for cu_90. Information not available for this record. 13 records have no value for cu_50. Information not available for this record. 13 records have no value for cu_10. Information not available for this record. 13 records have no value for cu_05. Undiscovered copper resource estimate, mean value, in metric tons (t). Integer values. Integer of width . Information not available for this record. 13 records have no value for mean_cu_t. Information not available for this record. 13 records have no value for prob_mean. Probability of no undiscovered copper resources. Real numbers stored in double precision. Information not available for this record. 13 records have no value for prob_0_cu. Geographic area of USGS report from which data were originally compiled. Textual values of no more than 68 characters. Abbreviated citation for author and year of the USGS regional report from which data were originally compiled; full reference located in the lineage section of the metadata and listed in file geodatabase standalone table sedCu_references. Textual values of no more than 76 characters. Commodity names or symbols, separated and associated with their importance, to facilitate search. Unique identifier for each record. [GMRAP, Global Mineral Resource Assessment Project.] Integer values. Integer of width 4. Commodity name or symbol, may include question mark in parentheses. Textual values of no more than 8 characters. Importance of commodity at the site (major, minor, or trace) Textual values of no more than 8 characters. Entity_Type_Definition: Mineral names, separated, to facilitate search. Mineral name, may indicate a group of related minerals, for rare minerals may include a chemical formula. Textual values of no more than 64 characters. Unless otherwise stated, all data, metadata and related materials are considered to satisfy the quality standards relative to the purpose for which the data were collected. Although these data and associated metadata have been reviewed for accuracy and completeness and approved for release by the U.S. Geological Survey (USGS), no warranty expressed or implied is made regarding the display or utility of the data on any other system or for general or scientific purposes, nor shall the act of distribution constitute any such warranty. Permissive tracts with links to detailed information on the web.